Last year Chloe and Damien got in touch to see if I was available for their wedding at The Ashes Exclusive Country House Barn Wedding Venue Staffordshire, Endon, Stoke-on-Trent. Luckily for me I was. Myself and Damien once frequented the same Product Design class whilst at Sixth Form so the whole day was a nostalgia trip for me to be honest. Even though we had a small shared path it wasn’t Damien who contacted me. Chloe made contact through a recommendation of a previous friend from primary school. I do love the way different people dip in and out of your life in this way. I often spend time thinking about the vast number of people I have come to know over my many years walking this beautiful planet. Chloe and Damien were happy to book without a first meeting so I didn’t actually meet Chloe and reconnect with Damien until our last meeting before the big day. There was no fear to be had though, Chloe was lovely and right down my street with the excitement behind her big day. It just left the rest of the guests to convince I was actually an all right guy. Chloe and Damien’s day at the The Ashes Barns was a lovely late afternoon affair with loads of time outside in the breezy sunshine to be had. The Ashes Barns has a brilliant No Corkage Drinks policy, I don’t understand it fully but basically from what I understand you can supply your own alcohol right up until the bar opens later on. This was a fantastic feature as everyone could remain part of the day rather than queue at the bar. Also it does help add an extra bit of slippery-ness to those late night dance moves. Click here to find out more. The Ashes Barns is nestled in a 50 acre estate which we got to roam to find some amazing photograph opportunities. Chloe and Damien were my favourite kind of couple. They were keen to just let me be me. Capturing the day from my angle, leaving the professional to do his job. Have faith in your photographer like Chloe and Damien and he will produce a unique gallery for you. 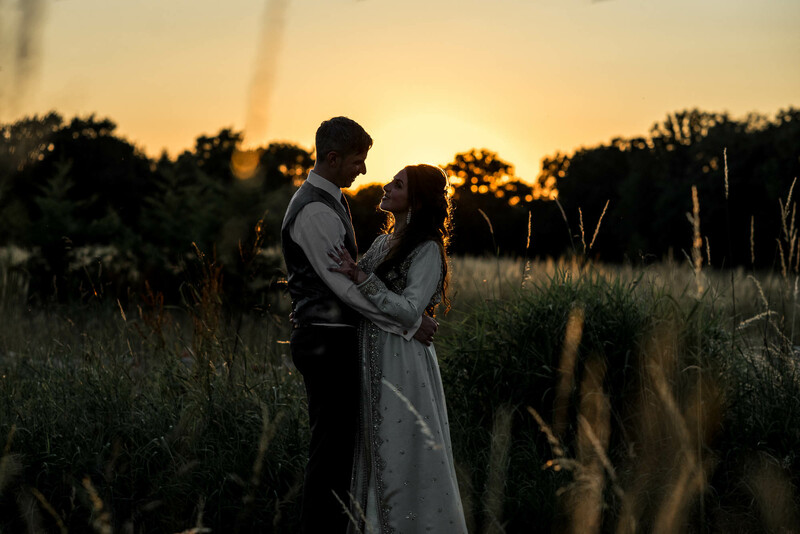 Looking for an Ashes Barns Wedding Photographer? I’m a relaxed and informal Stoke-on-Trent wedding photographer who often ventures further afield including Staffordshire, Derbyshire, Cheshire, Shropshire and the rest of the UK. I don’t charge for my travel or accommodation as I love the look of different landscapes in my photographs. If you are interested in having me photograph your wedding whether it’s in Ashes Barns or elsewhere then CLICK HERE to drop me an email about your day. If you’d like to hear a little bit more about me, my life and my sausage dog you can click here to find my about page. If you want to see more you can scroll to the bottom of this post and find links to other weddings I have photographed. Or maybe you want to check out what people think of me before contacting me. Click here to get their low down on my work on my testimonial page. I photograph weddings all over the UK. So wherever you are, give me a shout.